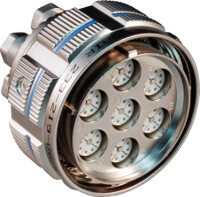 The SpeedMaster contact module, incorporating size 22D contacts, for Cat 6A High-Speed netwoks is available in three industry proven connector styles for general purpose, military and commercial applications. The Series 80 Mighty Mouse 824 locking push/pull connector – an industry standard for size and weight reduction, makes upgrades and repairs easy thanks to its push/pull, quick disconnect design. 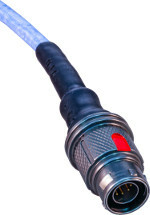 In addition Glenair also offers the SpeedMaster for our HiPer-D rectangular and Series 23 SuperNine, 38999 type connectors. Our HiPer-D, M24308 connector, features precision-machined aluminum shells and aerospace-grade fluorosilicone grommets that out-perform standard stamped and formed shells. Our growing family of 38999 type SuperNine connectors is constantly improving on this venerable design and the SpeedMaster contact module is part of that growing line-up. Anyway you look at it Glenair has you covered with a High-Speed solution that can deliver tomorrows next generation Cat 6A performance today.